Built and launched in 1873 at Saginaw, Michigan, the three masted canal schooner, Grace Channon was 140 feet long with a beam of 26 feet and a gross tonnage of 265 tons. She was lost a mere 4 years later in 1877 while captained by Simon Murray. On that fateful day, the Channon was struck on her port side by the salvage ship, Favorite. Sadly, in the accident, the 7 year old son of the co-owner, Alexander Graham of Chicago was lost. The Schooner quickly succumbed to the damage inflicted and sunk within 5 minutes. She came to rest on a sandy bottom in 205 feet of water and sat undiscovered until nearly a century later when she was found by Kent Bellrichard. 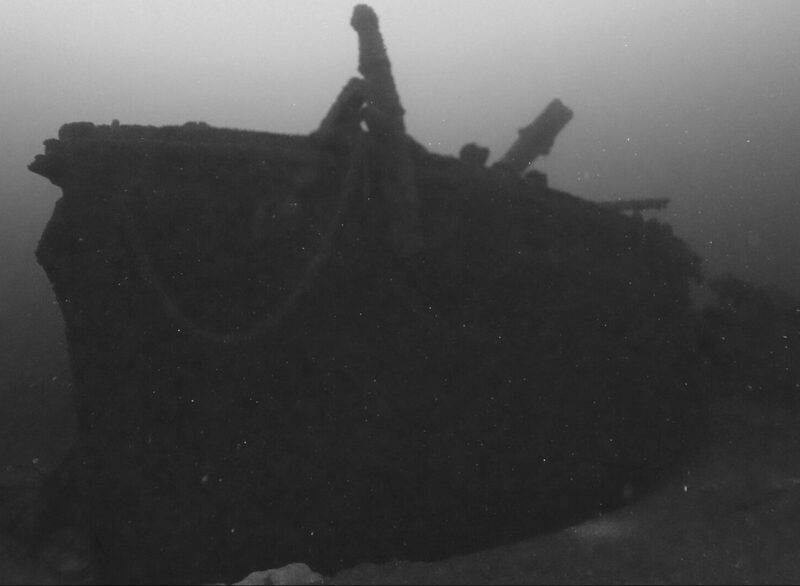 She was found resting, even keel on the bottom with her cabin fully intact, masts broken, and rigging scattered amidst the deck. Given her depth, only the most highly trained and experienced of technical divers can explore her beauty. We visit the Grace Channon from Milwaukee on the Alma.